Fun without spending the earth. There are many reasons why Clarke Quay is Singapore’s top spot for an evening drink: the views of the sun sinking over the Singapore River, the eclectic crowd, and the fact that nearly every bar has a happy hour drink special! Here’s a quick guide to finding the cheapest drinks at Clarke Quay. 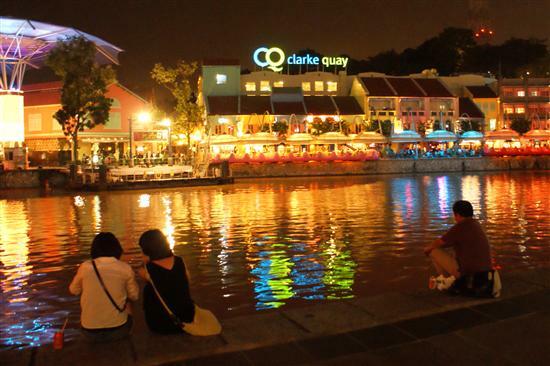 Clarke Quay is the place to be after dark, even if it's just for the view. If beer if your drink of choice, The Bungy Bar has the cheapest pints at S$9 for draft Tiger until 21:00 and Tomo Izakaya sells bottles of Asahi Japanese beer for a bargain S$5 from 17:00 till 19:00. The microbreweries also have happy hour deals, with a pint at The Highlander costing $8.50 until 19:00 and The Pump Room offering a buy-one-get-one-free promotion until 20:00. Brewerkz wins for the most complicated pricing with a pint costing $6 from 12:00 till 15:00, $9 from 15:00 till 18:00, and $12 from 18:00 till 20:00. Happy hour is also the perfect time to visit Clarke Quay’s trendy theme bars before the long lines. 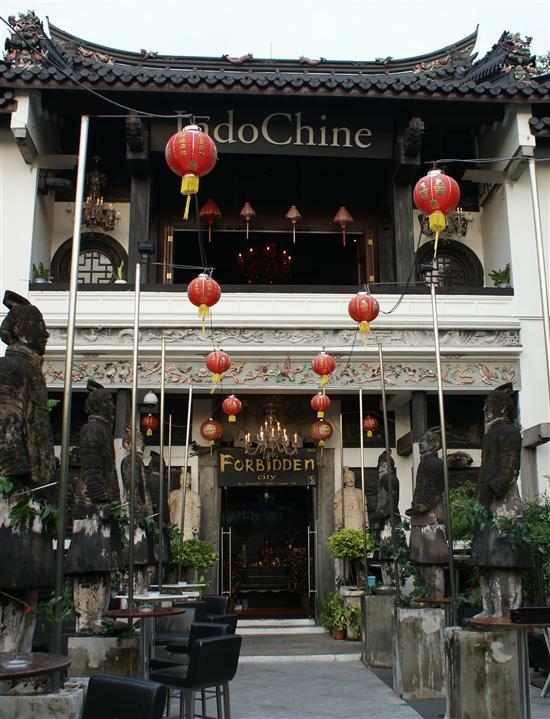 Mixed drinks, beer and house wine are all buy-one-get-one-free at the daunting Bar Cocoon @ The Forbidden City until 22:00. Bollywood-themed Rupee Room discounts all drinks by 20% from 17:00 till 21:00 while the Marrakesh Moroccan Lounge & Bar simply charges a flat $6 for mixed drinks, wine and bottles of beer from 17:00 until 19:00. Blues club The Crazy Elephant offers a 30% discount on all drinks until 21:00, but do note this is well before the live music starts. Brave the Terracotta Army for happy hour prices. Both of Clarke Quay’s Spanish bars have happy hour deals, with Octapas serving their tasty sangria for $10 a glass from 12:00 until 20:00 and Alegro mixing cocktails by the bucket for S$30 from 18:00 until 20:00. Café Iguana makes the undisputed best margaritas in Singapore and they cost S$7.50 from 15:00 until 18:00 and S$9.50 from 18:00 until 20:00. It’s happy hour at Cuba Libre every day from 18:00 until 21:00 with buy-one-get-one-free on bottled beer, wine, spirits and their signature mojitos. Don’t want to stumble too far to get back to your hotel? Here are our accommodation suggestions for Clarke Quay.